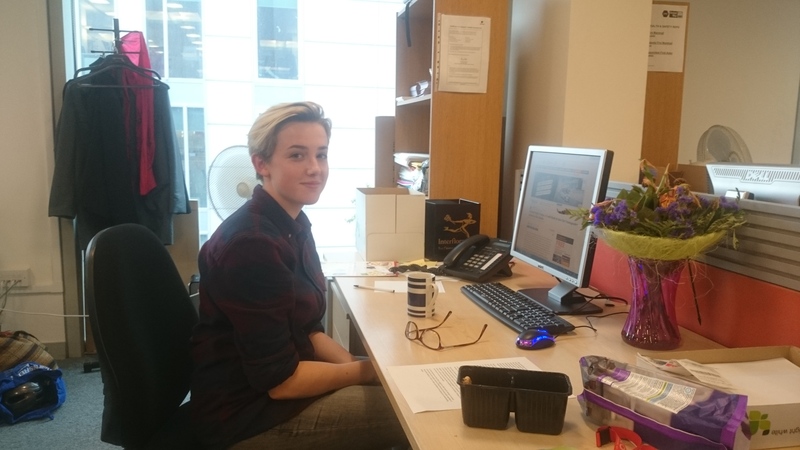 My name’s Tia and I’ve come down from Portsmouth to do work experience with Gendered Intelligence. I’ve just finished my first year of sixth form, studying A level psychology, philosophy, chemistry and biology, and I’m looking to study psychology at university, with the hope that this will lead into a work concerning gender and sexuality, specifically improving services in place for trans people. Reflecting on my own experiences at school, I decided to write about the ways that schools can become more trans inclusive, and help people to become intelligent about gender. Around the age of 2 children begin to develop their understanding of gender, and this continues to expand throughout a person’s development, particularly being reinforced at puberty. School is, therefore, clearly a key time to be learning about and understanding gender identity in an open and intelligent way, in order to prevent the formation of prejudices from an early age and to allow young people to explore their own identity. 64% of trans men and 44% of trans women experienced transphobic bullying or harassment at school, coming from both students and teachers. Yet, Stonewall’s 2007 report found that 90% of teachers have received no training on how to support LGBT students. Training is needed for teachers, regardless of whether or not they have trans young people in their classes, due to the influence teachers have on their students, and their ability to foster positive and open attitudes towards trans people, and allow students to question their gender identity. 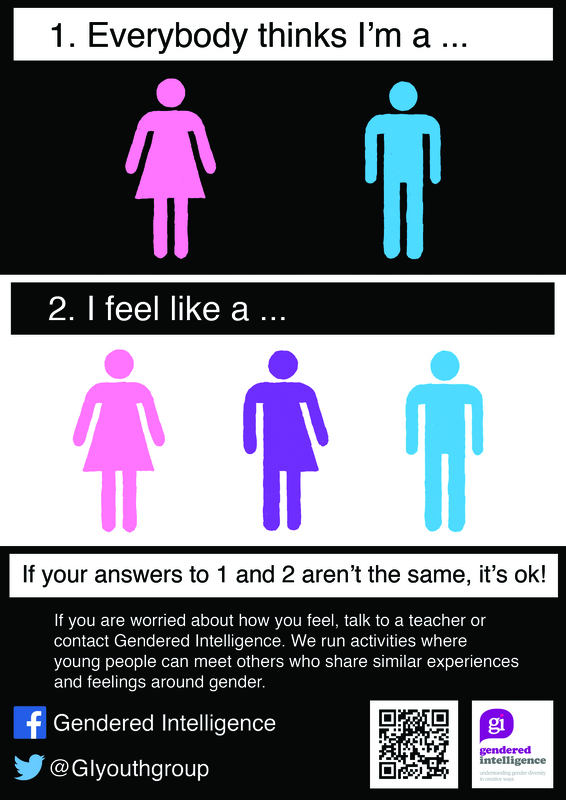 Many teachers may also have trans children in their classes without being aware of this, as 40% of young people are not ‘out’ in their everyday lives (GI’s Capturing Journeys report), making it clear that a more accepting environment is necessary in order to help trans people feel comfortable enough to come out at school. However, in order to fully support trans young people it’s necessary to also educate students, as many transphobic views and actions stem from ignorance. Currently knowledge about gender identity is not coming from the classroom, for most people it comes from the internet, the media, and through having trans friends or family. Resources on the internet may not always be found unless people are intentionally looking for them, and much of the trans representation in the media can be incredibly harmful. For example Caitlyn Jenner’s transition being discussed using male pronouns and her birth name, and the use of transphobic slurs in shows such as RuPaul’s Drag Race. This misinforms people of the appropriate language to be used when referring to trans people. Currently when trans people ‘come out’, they are often faced with many questions from friends and family, although they may not mean any harm and simply intend to gain a better understanding, there is a tendency to ask insensitive and inappropriate questions. This places unnecessary pressure on trans people, as it should not be their responsibility to educate others. Compulsory introduction of information concerning trans identities and issues into PSHE would give trans* young people the language to talk about and understand their gender identity, as well as reducing the amount of transphobia stemming from ignorance. It is also important to include trans people and the discussion of the issues they face in other areas of the curriculum, for example studying the work of trans writers and artists, or influence figures such as the actress and trans activist Laverne Cox, this provides role models for all students. It is also important for trans young people to have an understanding of the equality act and the rights they are afforded from this, something which will also benefit other people affected by this. Often unnecessary segregation is made by gender within the classroom, for example boy-girl seating plans and pairings which highlight to trans people who are not out that they are not being seen as their self-identified gender. This can also be harmful for non-binary people who may feel as if their gender identity is being invalidated, and that they are being made to confine themselves to the binary gender they were assigned at birth. Gendered language should also be avoided, in situations where assumptions are made about a person’s gender. For example addressing groups of students as ‘ladies’ or ‘gents’ places assumptions of a specific binary gender onto people, this once again may risk misgendering people and invalidating non-binary identities. Gendered uniforms should also be avoided, as having distinct male and female uniforms may make a trans person feel as if they cannot wear the uniform of their self-assigned gender, due to the increased visibility this gives them. For non-binary trans people this is also a problem as they may feel uncomfortable having to categorise themselves within one of the binary genders, and therefore invalidating their gender identity. By providing uniform rules which are not segregated between the binary genders, schools can maintain their structure and regularity of uniform, whist being inclusive to people of all genders and allowing students to explore their gender expression. Even if all steps are taken in order to create a trans inclusive environment, it remains important to also have safe spaces, in which trans students can know they will be understood and accepted. LGBT groups are particularly important for creating a sense of community, and by inviting speakers in there is the opportunity for trans people to gain role models, and also to further understanding and visibility. These groups within schools can play a very important role in ensuring that trans students are aware of staff members who can provide support, and introducing them to the wider trans community. Strict policies should be in place for challenging transphobia, as there are with other types of prejudice and discrimination, this includes deliberate misgendering. Once students have been educated on what transphobic actions are and why they are harmful, as well as the appropriate way to discuss trans issues, a zero tolerance policy should be adopted. If both students and staff are encouraged to consistently challenge transphobic actions, it will soon become clear that transphobia is not tolerated, creating a safer environment for trans young people. It is clear that there are many steps a school can take towards creating an inclusive environment for trans people, and also to help educate all young people regardless of their gender identity, in order to create a generation of accepting and understanding people.